AGK Accounting, LLC is strongly community based. We’re deeply rooted in the cities & towns we work and live in, and stay in close contact with the people we serve. We want a conversation with our clients about what has happened in their lives the past year. Our success comes down to being involved in the community and interacting directly with people on a daily basis. Client circumstances are unique, both in their lives and how it affects their tax situation. Some clients are nervous about the government and taxes. We are on your side, trying to reduce your tax liability as much as possible. For our business and individual tax clients, we’re looking for ways to save them as many tax dollars as possible to reinvest in their business, family, and communities. 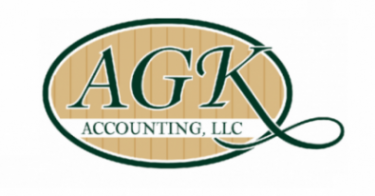 AGK Accounting serves Sole Proprietors earning a few thousand in gross sales to Corporations with multiple locations and millions of dollars in revenue. Markets range from Construction to Retail to Service Businesses. We specialize in Income Tax Preparation and offer Payroll Services, Monthly Bookkeeping, and Financial Statement reporting in addition. We fill a niche, gearing our firm mainly toward local small businesses. We’re small enough to serve them on a daily basis. Their needs are different from larger corporations. As companies continue to grow, their needs change but our commitment & service remains consistent. We’re there to help them navigate their growth and plan for the unseen. If you have questions about your business or personal tax needs, please feel free to contact us for more information or to request an appointment. Taxes don’t have to be scary… we’re here to help!